Over the long winter, Julep has matured and blossomed into a swan. Her elegance abounds and her movement extends to a new level. Julep has remained steadfast in her most people-pleasing temperament. A visitor to the farm wanted to see just how cooperative a Belfrey's baby was. So I pulled her out of her paddock to the driveway where she had never been before. There was a heap of mulch piled 5 feet high with a vertical sheer where we had been moving it shovel by shovel. heap. Julep went right to the heap, sniffed it and elevated her extremely elastic shoulder and climbed vertically up and over the heap! While on the other side, I pointed for her to come back across the mountain. She climbed up and then confidently slid down the 5ft. vertical drop onto the asphalt. Her visitors were thoroughly impressed! When I pointed to their car...and she lifted her shoulder... they exclaimed, "NO, NOT THE CAR!!" They were convinced beyond a shadow of a doubt at the willingness of Belfrey's foals! all! Incredible temperament, balanced conformation (fantastic shoulder, powerful haunch, amazing topline, graceful neck and straight limbs), superior athleticism and elastic movement all in one gorgeous package! Julep IS as sweet as she looks! As a last minute decision, we took our yearling filly, BenMar Mint Julep, IDSH to her first show, the May USDF KDA Breeders Classic I & ll. I was politely told that I was crazy to introduce clipping, bathing, and trailering the same day we left for the show, but I just didn’t think it would be a problem. And it wasn’t. Julep didn’t even look twice at the clippers. Her head remained low and relaxed. Bathing was a non-issue. It was time to load up for the first time. I led Julep to the trailer, pointed my finger and said “Walk on.” I threw the rope over her back and she loaded herself!!! Julep made an indelible first impression for many of the top Warmblood breeders and German and American Dressage Show Judges at the Lexington Horse Park, KY. A small crowd gathered from the moment she walked off the trailer. In a sea of fine Warmbloods, Julep outperformed her counterparts by off-loading herself from the trailer with the total peacefulness of a well-seasoned show horse. With relaxed curiosity, she absorbed the busy show atmosphere without moving a foot. 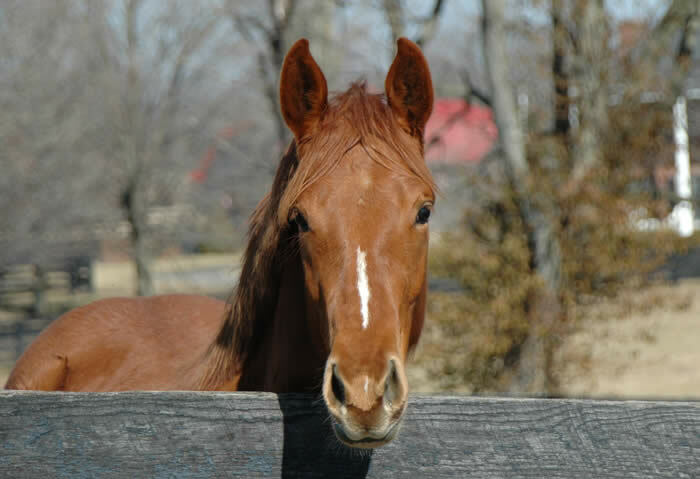 Julep’s audience was amazed when they heard this was her first time loading, trailering and off-loading. We were stunned after her first class. The German Judge for the Open Yearling Filly Class placed Julep in the middle out of 9 entries against all Warmbloods specifically bred for dressage! 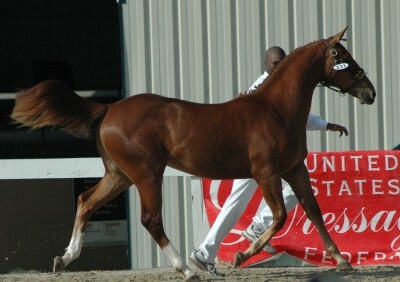 Julep then took first place and the Championship for Irish Draught PartBreds over a mature stallion and mare! 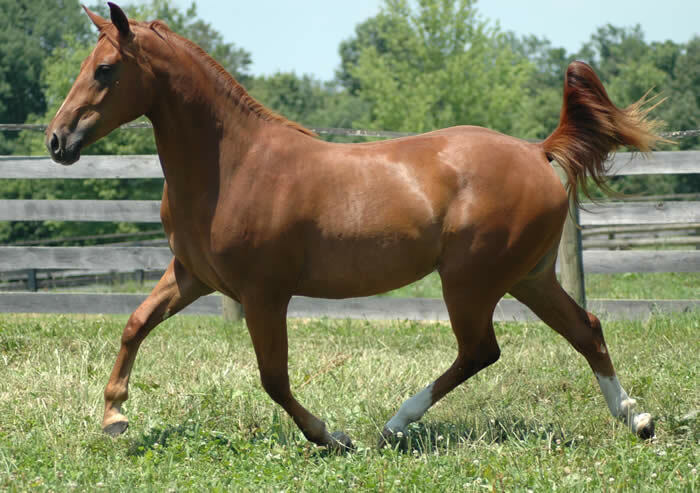 The two judges loved her “elegant head, nice type, well developed shoulder and hindquarters, and good rhythm.” The judges were impressed with Julep’s movement in spite of her growth spurt and remarked that we will see dramatic improvements as she grows. Her professional handler, Bruce Griffin, was so pleased with Julep’s willing demeanor that he repeated, “This is the kind of horse that you want to ride!” Bred for versatility and not specifically for dressage, we were overjoyed with her accomplishments. 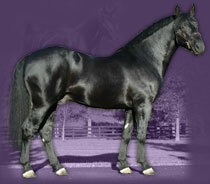 Julep’s wins were secondary to her noteworthy representation of the Irish Draught Sport Horse and her Champion Sire, Bridon Belfrey, RID. Julep’s calm, sensible approach to vast changes in her environment compelled remarks such as: “There is no way my horse would ever be this good. I can’t even braid my filly in her stall for fear she will kill me!” and “Looks like she stands quietly for the clippers.” Julep stood patiently for 2 hours while I fumbled with her braids. They couldn’t believe she was clipped for the first time that morning. After the show, with a point of the finger and a “walk on”, she loaded herself and stood patiently while I closed the ramp. Many of her admirers had never met an Irish Draught Sport Horse, but now will never forget it! Julep is already exceeding our expectations with her brave and comfortable approach to new challenges. Her daily routine includes navigation a myriad of obstacles, many of which are in a dark, narrow barn isleway. With a point of a finger, she eagerly walks 12 feet in front of me, down our 3 foot wide barn isle, UNDER a ladder while simultaneously climbing several haphazard bales of hay! She adsolutely LOVES the adventure! She leads from either side equally well. With a point of a finger she will adjust her speed. She trots when I run and stops instantly without touching her. She is by my side wherever I go. I take her on new adventures everyday. We often visit our water fountain, the mailbox and pallets of mulch and concrete (whatever we happen to have delivered). One day we decided to visit my husband while he was on a conference call. We walked right up our sidewalk through the courtyard, to the front porch, up two steps, ON THE FRONT PORCH and rang the doorbell!!! My husband came out and was shocked to see Julep’s innocent face and bright eyes with eye lashes just a batting! He said to the 15 people on the conference call, “Uh, can you hold on for a second! ?” After loving on Julep, he went back to his meeting explaining what just happened! Hahahaha! It was PRICELESS! 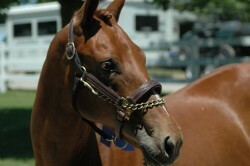 We are pleased to announce the much anticipated arrival of our newest sport horse foal! 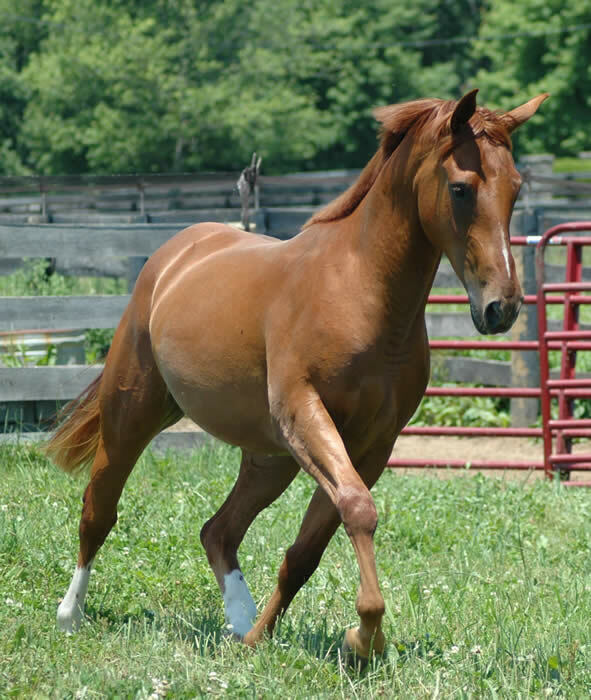 Julep is of outstanding quality and elegance and has the most exceptional temperament of all the foals produced at BenMar Farm. At 2 hours old, she literally walked to our daughter, leaned against her and remained there for all her hugs and scratches! 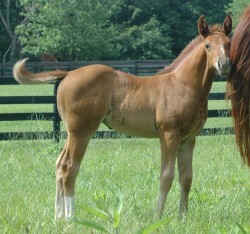 We’ve never seen such a sweet foal! Julep has learned to lead confidently in only one brief lesson, showing a great aptitude and willingness for training. 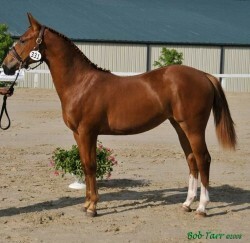 She is already an athletic mover displaying Belfrey’s trademark elevated canter and forward trot. 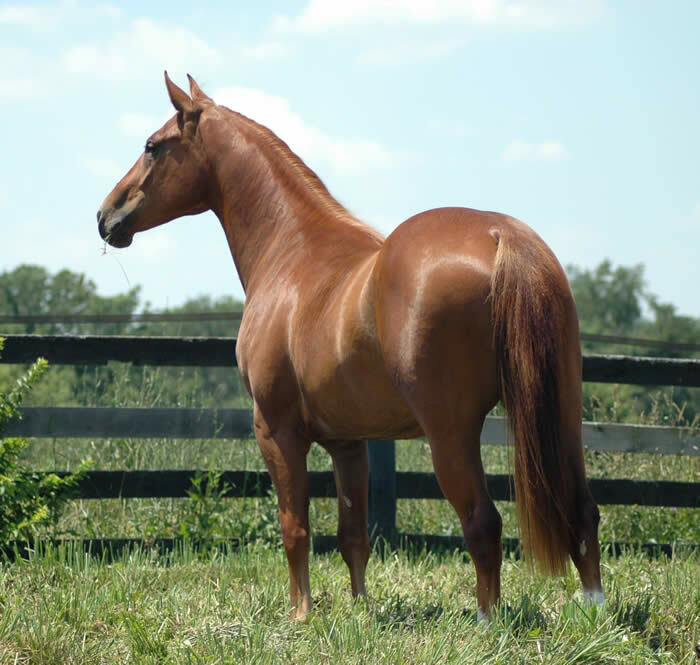 She inherited Belfrey’s exceptional temperament, topline, powerful haunches and great shoulder angle. We expect Julep will make a fantastic all around family horse that will excel in Fancy Hunters, eventing, dressage, driving or hunting. 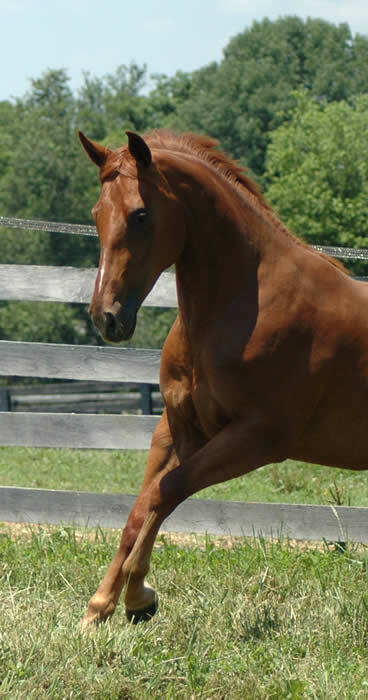 Julep’s super athleticism and sweet, giving temperament gives her the versatility to excel in any discipline. 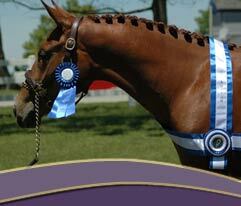 We feel she has the potential of achieving national level rankings in Hunters, eventing or showjumping. Check back for new photos often!